Why am I writing about how to be a man that today’s women love to love? Well, even though Atlanta is more than a hop, skip and jump away from Switzerland, I knew I just had to go. Rewind to 2013. Text Weapon was a baby and I was a newbie to Twitter, FB and blogging. One day I was scouring the net for some interesting content to share with my “tweeps”, and a really cool infographic caught my eye. It didn’t have anything to do with texting—it was an infographic on how to tie a tie—but I retweeted it anyway. My thinking was that the same guys who would want to learn how to properly tie a tie would probably want to learn how to properly text. A few hours later, my phone buzzed and I saw that I had a mention on Twitter—it was the guy with the cool infographic, Antonio: “Pretty interesting site you have there Claudia.” I smiled and immediately replied. And that was the beginning of my journey to Atlanta.  Generous with his in depth knowledge on numerous occasions, Antonio has been a great help and source of motivation (his website is one of the best around), so when he asked me if I would like to contribute a guest post for his website last February, I was honored to share some of the reasons why texting is a must-have skill. While I was checking out Antonio’s online friends I ran across ‘I Am Alpha M’. I was hooked. I sat in front of my computer and watched video after video on his channel—everything from how to grow a beard to picking out the best straight blade, and others about dating, being a gentleman and communication. What amazed me was that, regardless of the subject, Aaron captured my attention with his entertaining personality and authenticity. Of course I had to reach out to him…. And just like Antonio he was generous and supportive. Which brings me to my trip. I decided to travel to Atlanta to meet these two mystery men who had given me a big push in the right direction. Antonio was as genuine and classy in person as he is in his videos. And Aaron was just as funny and energetic as I imagined – and as a bonus, I even got the chance to meet Aaron’s Dad, Peter, who has a really cool idea that you should check out if you want to have more fun and be more attractive! 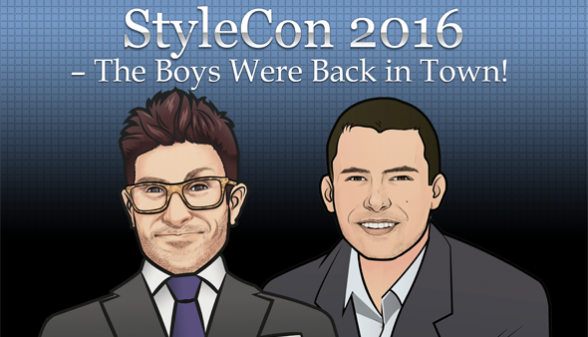 Aside from the obvious benefit of finally meeting Aaron and Antonio, why was StyleCon so amazing? Well, my first reaction was as expected: Based on the attendees’ appearances. They were all dressed to perfection, with pocket squares, tailored suits and stylish shoes. But going beyond their killer haircuts, their immaculate grooming and their fashion forward choices was something less tangible—their enthusiasm, class, true desire to become better men…and their willingness to help each other along the way. What separates a real man from a ‘guy’ or a ‘dude’ or a ‘douche bag’? What does it mean to be a man in 2016? What do women find attractive in this day and age? 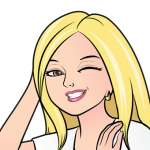 But to help you out, I followed up on my musing with research and found some of the key factors that might interest you. It is interesting to note that according to multiple scientific studies, most women agree that there are a few basic things make a man ‘attractive’ — including a symmetrical face, a large jaw, and a more mature look. A less formal discussion of what women look for revealed that it’s often a man’s smile, his eye contact and his overall presence that catches our attention first. This is great news because smiling or locking eyes with someone takes almost zero effort on your part and is completely under your control (unlike the shape of your jaw). As the men’s lifestyle conference so clearly illustrated to me, a man’s lasting impression is a mixture of his physical appearance, and some other less tangible qualities. Leadership skills came out on top as some of the most universally attractive qualities. Having the confidence and ability to take charge of a situation and make suggestions instead of asking (or following) is seen as a different kind of strength. Also related to this idea is holding a position of power within your workplace, such as manager or CEO, where you are looked up to and perceived as having a high value. 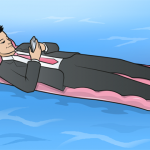 Not CEO of your own company yet? No sweat. Once again, just work on showing confidence. Start out small. Take charge of a situation if the opportunity presents itself. She’ll notice something even as small as the fact that you made the plans for your first date. Having inner strength, or strength of will and opinion, is also an attractive quality. As a man, you should should stick to what you believe in, as well as set up and maintain personal boundaries. The more you are able to keep your cool, the more she will respect you. Intelligence, passion, and specific life and career goals are also important. Most women find it extremely attractive (me included) when a man is excited about what he does. The amount of passion and enthusiasm at the conference blew me away. Not quite what you night be thinking, though. I don’t mean run to mommy with everything (in fact, please don’t—it can lead to divorce). What this means is women notice and appreciate seeing that you have strong, loving relationships with the females in your world (like your mom or your other female relatives). It shows us that you are a kind and caring family man. As a women who likes—actually loves—men, I can honestly say that I don’t have a ‘type’ of man. There are certain qualities, as mentioned above, that I find really attractive…and according to science I know that I am not alone. Having, any or all of these qualities will definitely boost your chances of achieving and maintaining positive relationships with women. Strive to be the best version of you, not a robot, or just another “copy paste”, but rather the real, authentic you. I’m going to let you in a secret, when it comes to being attracted to a certain guy, it’s the quirks that usually get me. You know, the small stuff…like the way he says my name, the way he remembers the little things that I tell him—and most important? The way he makes me feel when I’m around him. P.S. If you want to hang out with other passionate, enthusiastic guys who are on a mission to help each other learn how to be a man that makes a difference, don’t miss out on StyleCon 2017. It will be a game changer.